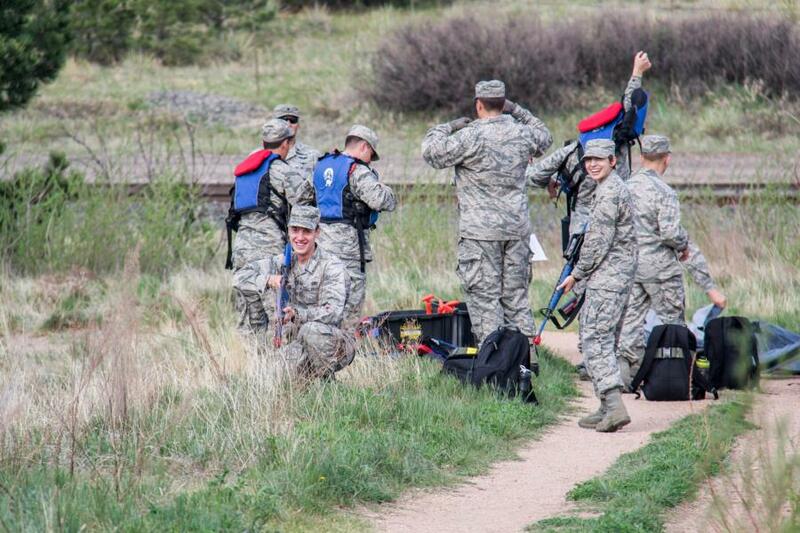 Day 3 of Prep TX was yesterday, the C/C's started their day off early using coordinates to navigate across the USAFA base to different stations. 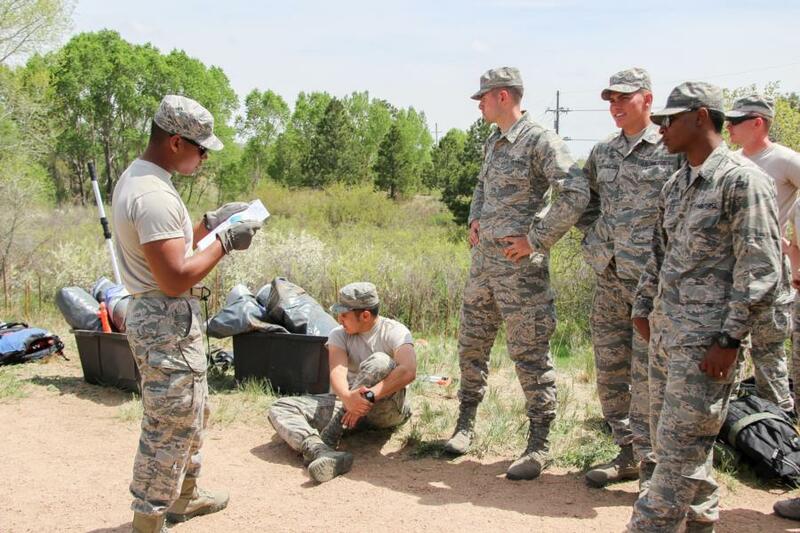 They were split up into small groups of about 9-12 C/C's per team and each group started at different points on the south side of the USAFA base and would hike between stations. We caught the C/C's at the Ice Lake station because every single group passed through this point throughout the day. 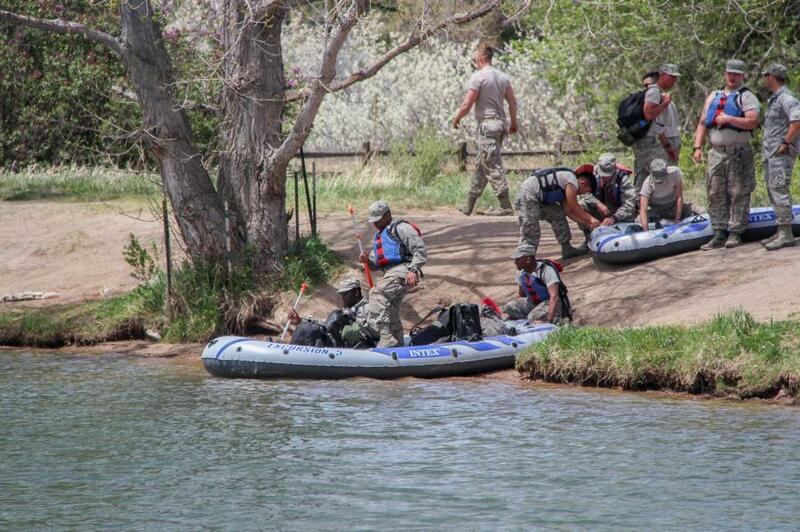 The Mission at Ice Lake: To get the entire team and supplies across the lake to avoid capture by the enemy. 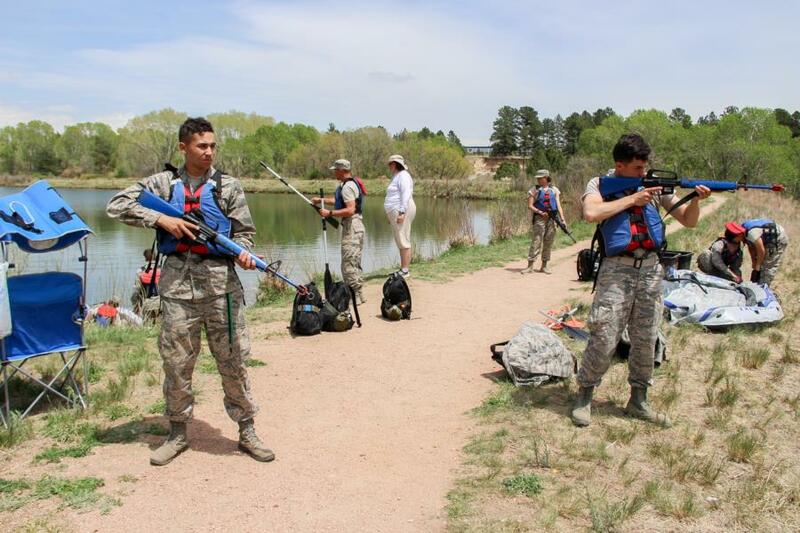 The Rules of Engagement for this activity: Your team is being pursued by enemy soldiers and snipers are in the area. 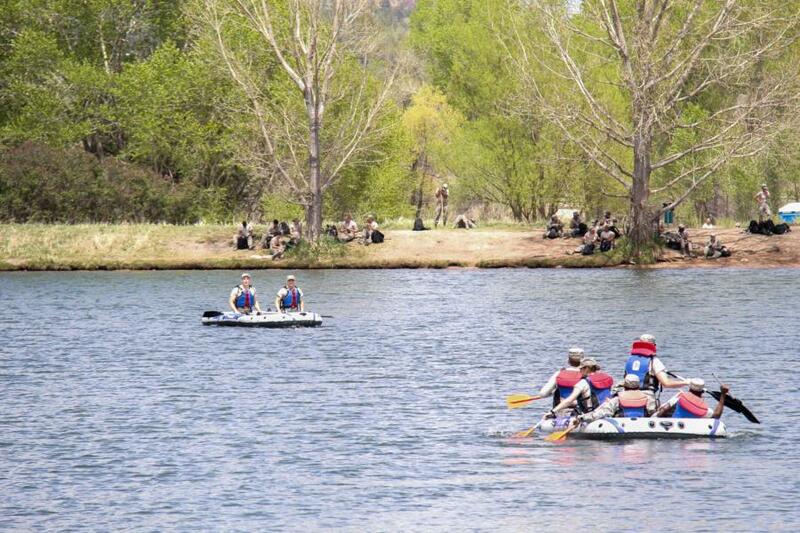 You cannot go around the lake due to suspected land mines. 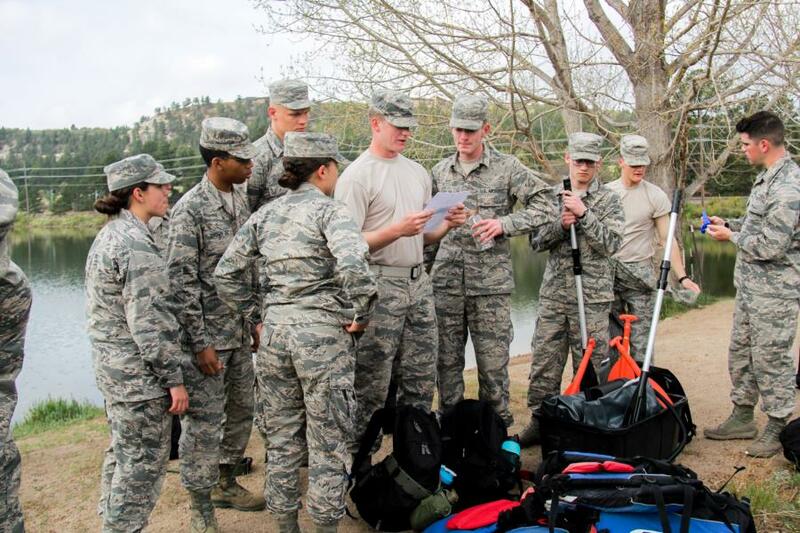 You must use the equipment provided in the crates to accomplish this task. You will not transport rifles, but use them to defend your position. Prior to departing, your will ground them as you found them. 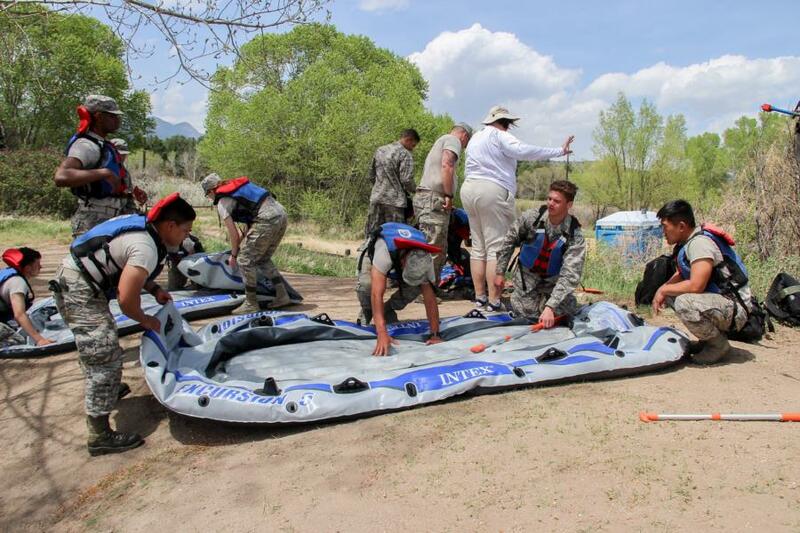 ALL raft chambers MUST be fully inflated, and ALL team members must wear a life vest. 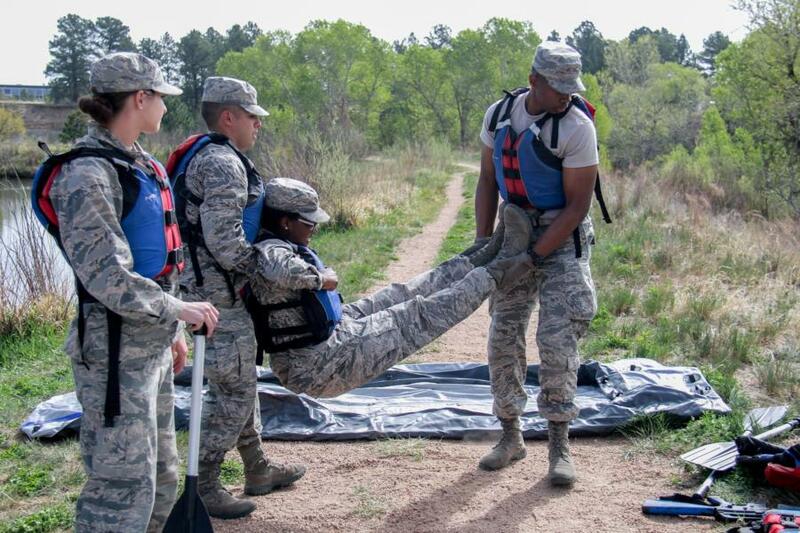 Every member of the unit must participate. 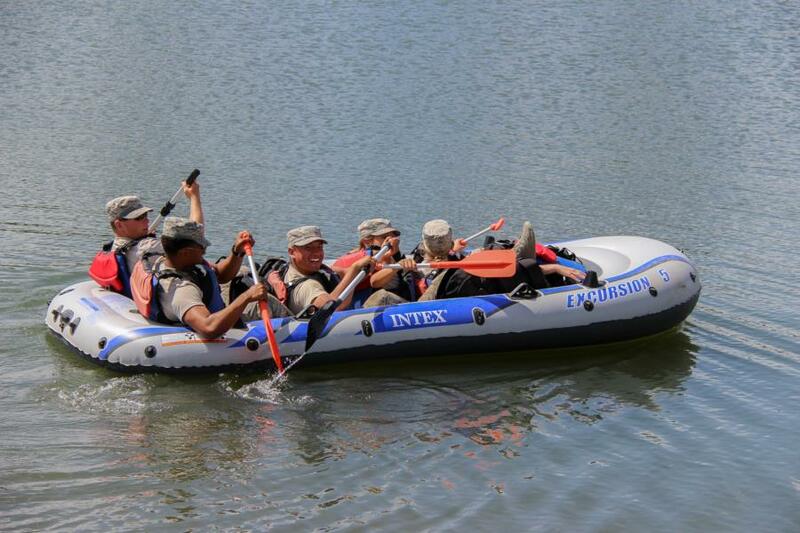 Penalties (1 minute deducted per each penalty): No life vests on within 10 feet of the lake, no safety observer while transporting heavy objects, more than 5 people in the raft at one time, damaging or causing unnecessary wear to the raft, feet in the water, disrespect for dead bodies, and dead bodies with no life vest and/or dead bodies talking. 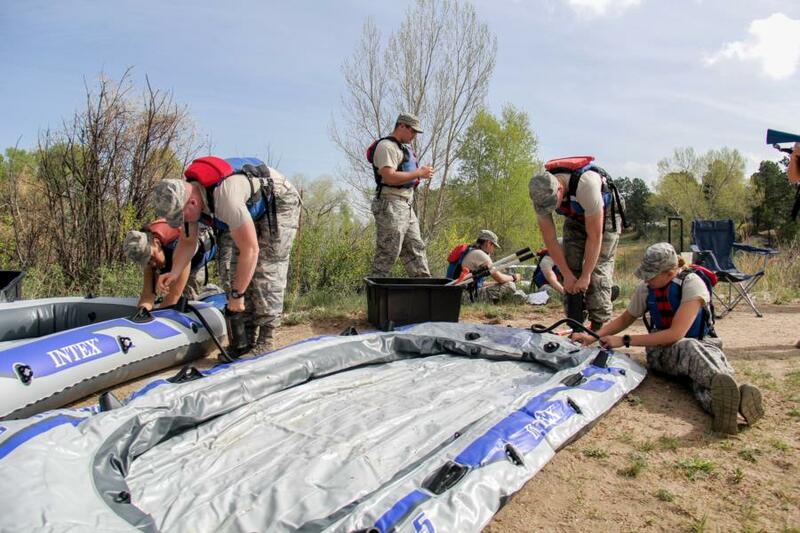 They had 45 minutes to complete this task, with time starting as soon as the mission, rules and penalties were finished being read and time stopping as soon as the entire team and supplies are safely across the lake, and the equipment returned to the awaiting crate. 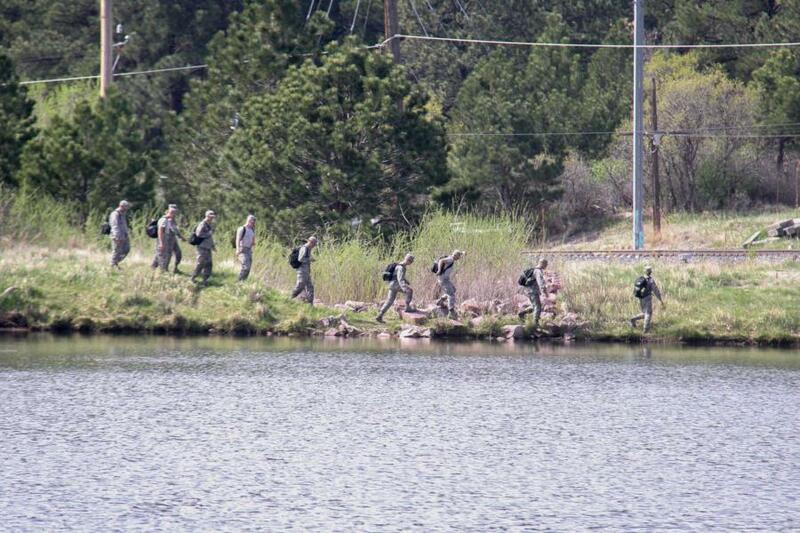 The "deaths" of some of their team members when the "enemy" happened to be nearby were decided upon by the staff on either side of the lake. 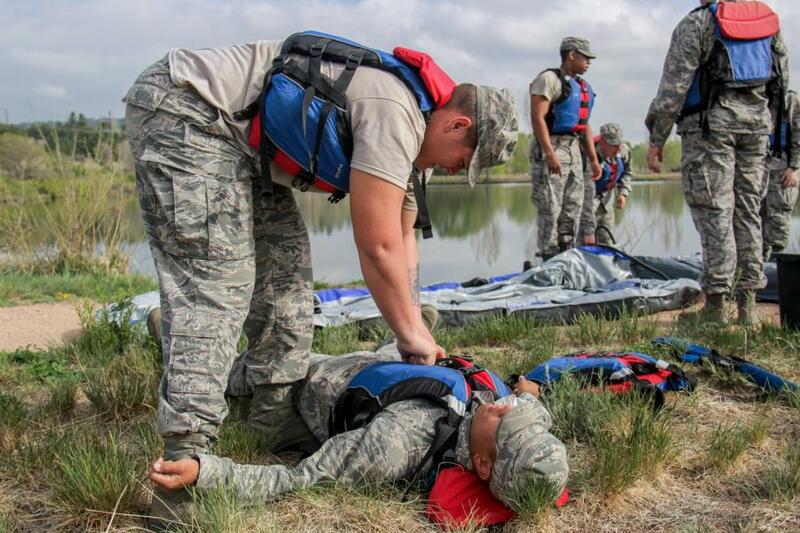 The team member who “died” was usually the leader of the team when the staff noticed that the C/C’s with rifles weren’t paying full attention to their team or if another penalty happened prior the rafts being put into the lake. This happened to every single team. 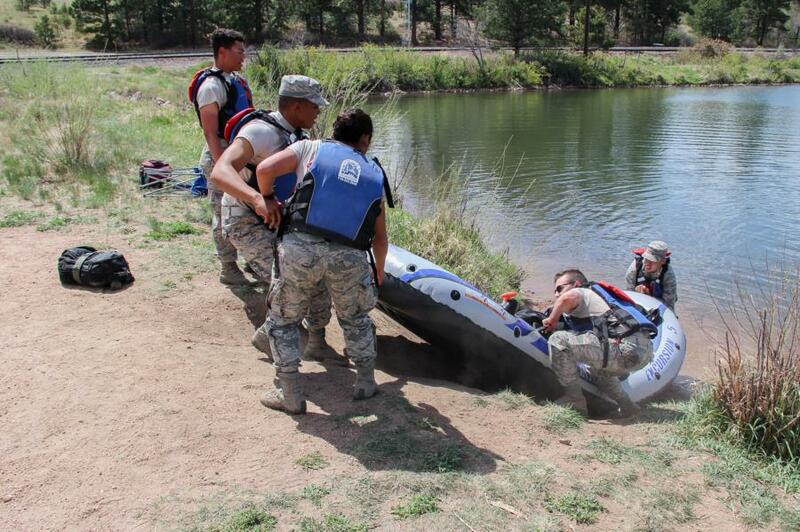 No C/C's were injured during this event, so do not be alarmed by the C/C's laying on the ground, being carried into, or out of the Rafts - this was all part of the exercise. 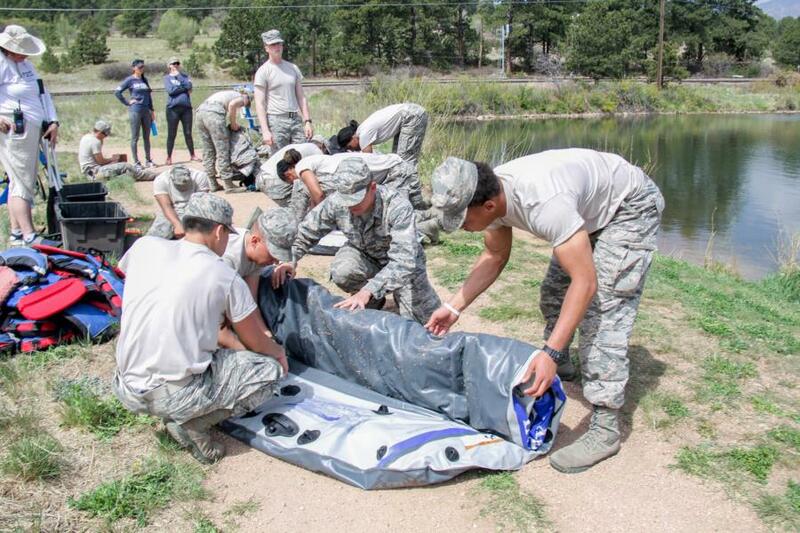 Once the rafts were inflated each team had to get their entire team and all of their gear/equipment from one side of the lake to the other, sometimes only needing to make one trip with the rafts and other times making multiple depending on how big their team was. 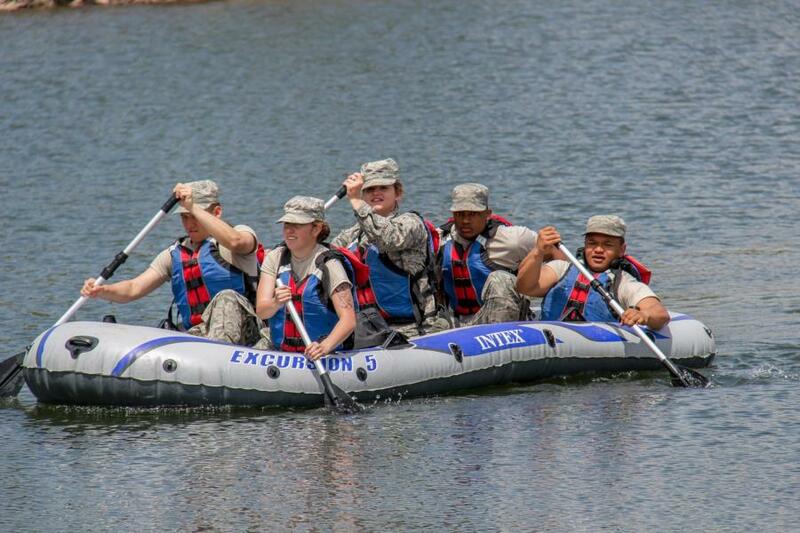 This was the only event of the day, so enjoy our glimpse of the C/C’s as they all participated in this event. 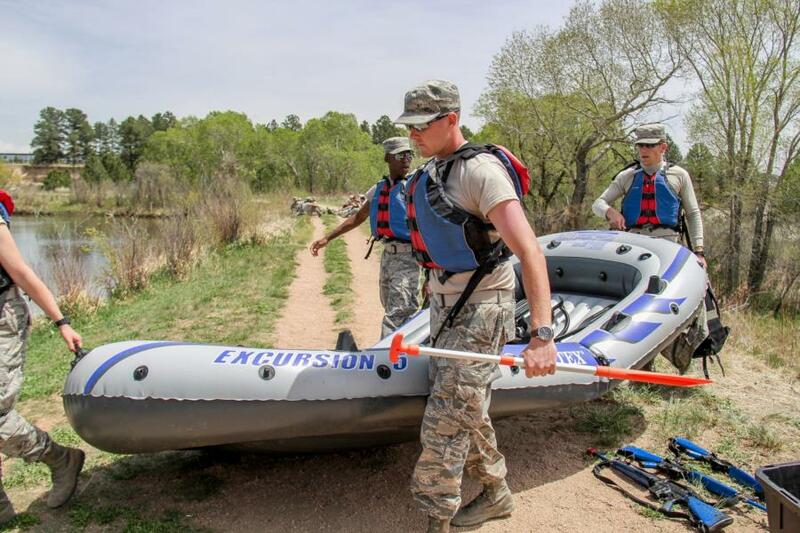 Today is a rest day for the C/C’s and tomorrow is their final day with a March out to Jacks Valley and a celebratory lunch to finish off Prep TX. We will be there to catch a glimpse of each of the activities so be sure to check back tomorrow evening! To view the rest of the pictures of yesterday’s activity go to; Classes – Prep School – Prep TX. Or click the link below.